Colorado contemporary chic at its best and still feeling like brand new! Beautiful 2017 open layout home, drenched in natural light with 9 ft ceilings, wood laminate flooring, entrance hall and welcoming front porch. Elegant, grand kitchen boasting custom cabinetry, gas cooktop with hood, walk-in pantry, farmers sink, quartz countertops and eat-in island. Neatly manicured, pro-landscaped yard is a clean canvas waiting to be personalized. 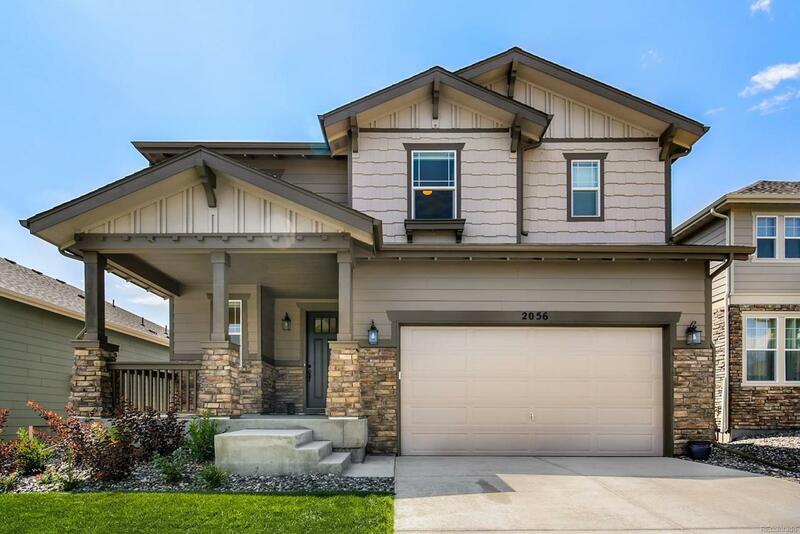 Front Range Mountain views from all 4 ample bedrooms, including owners suite retreat with Flatirons views! Convenient upper-level laundry room. Over 3,000 sq ft, including the unfinished basement with rough-in plumbing. Additional features include custom window blinds, ergonomic soaking tub, Corian baths countertops and so much more! Built with quality by KB Home. Close to parks, trails and Lagerman Reservoir. Quick access to HW-119, HW-287 and Ken Pratt Blvd. Easy commute to Longmont and Boulder! Hurry, this new charmer wont last long!